The law is a sort of hocus-pocus science... Of all the specialized skills abroad in the world today, the average man knows leas​t about the one that affects him most – about the thing that lawyers call The Law... Normal human skepticism and curiosity seem to vanish entirely whenever the layman encounters The Law...There are several reasons for this mass submission, One is the average man’s fear of the unknown – and of policemen. The law combines the threat of both. A non-lawyer confronted by The Law is like a child faced by a pitch-dark room. Merciless judges lurk there, ready to jump out at him. ("Ignorance of the law is no defense.") Cowed and, perforce, trusting, he takes his lawyer’s hand, not knowing what false step he might make unguided, nor what punishment might then lie in wait for him. red mediation, you both work with a mutually acceptable mediator in single or multiple sessions to resolve some or all disputed issues. The issues can include custody, parenting time, property division, child support, and spousal support. Mediation uses a negotiation strategy that is collaborative rather than competitive. Unlike the competitive strategies used in court, the collaborative strategy focuses on problem-solving and achieving a solution that is satisfactory to both parties. However, mediation will only work if both of you are willing to make it work and willing to work with each other in the future. If the settlement negotiations through mediation fail, then a trial may be necessary before a judge of the family part. 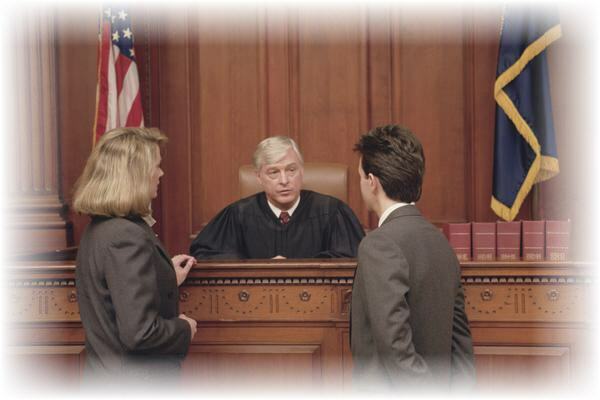 Since trials are adversarial, they generally focus on a competitive strategy for resolving issues. This is also known as a "win-lose" strategy where each party attempts to get their "opponent" to agree to their position.